Customization. 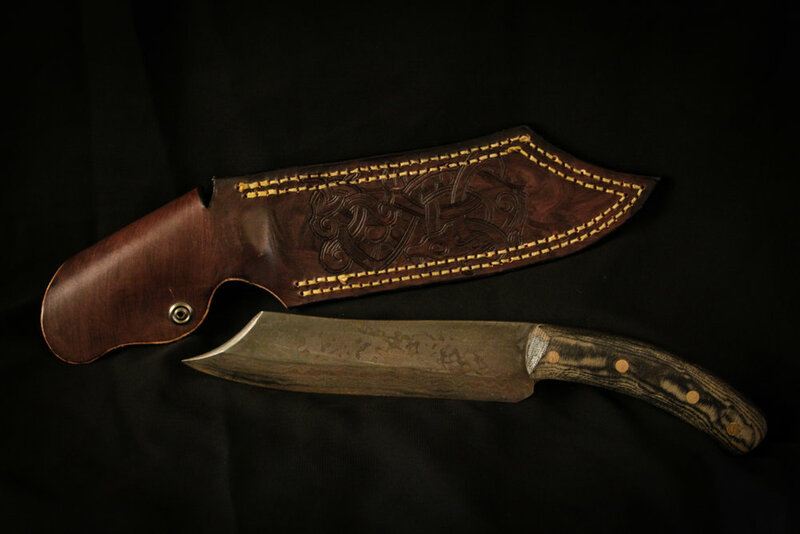 I can tailor the blade, handle, sheath, and accessories to you and your needs specifically. Best materials. I only use the finest materials from trusted sources, all of which I purchase from American companies. Pretty, functional. I make the design that fits you. 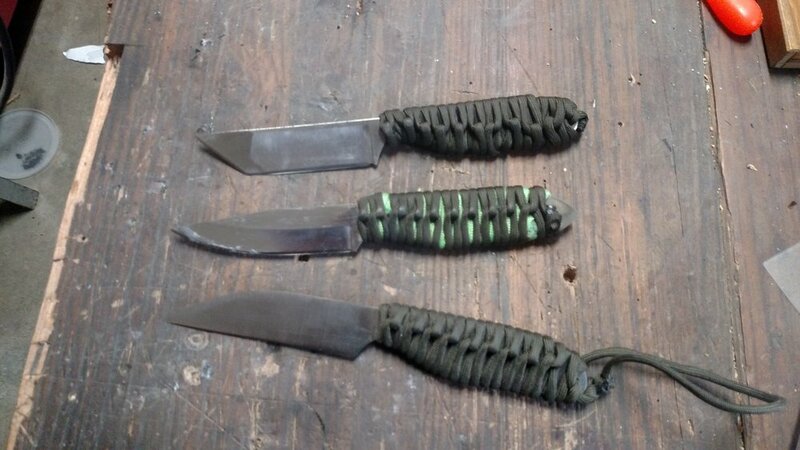 I make knives for the kitchen, camping, hunting, survival, EDC, combat, and historical recreations. I’m also happy to work with you on your own design. Philosophy. Overkill is underrated. 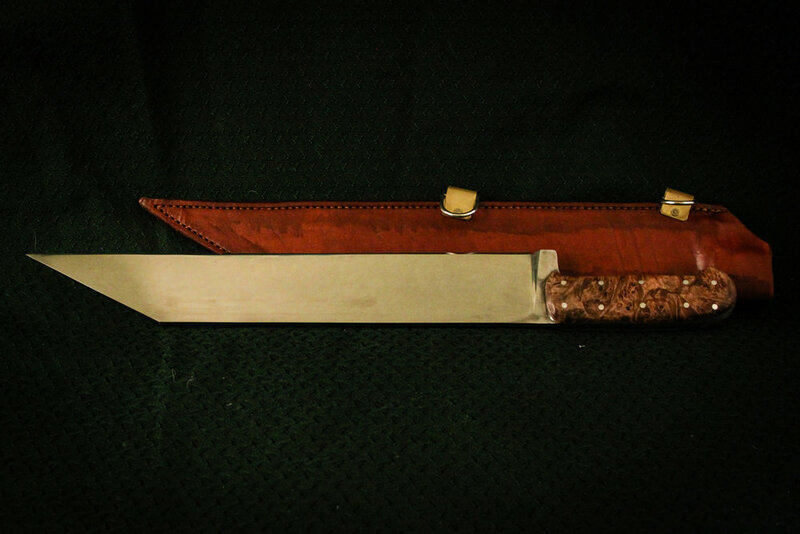 Do you need a knife that can skin 12 elk without having to re-sharpen it? No, but you can. 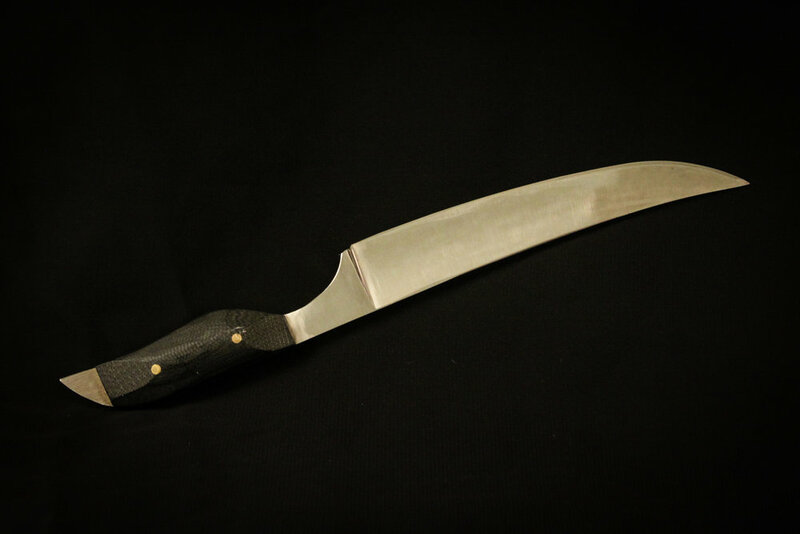 Do you need a kitchen knife that you can leave sitting in lime juice all night and it wont rust?Probably not. 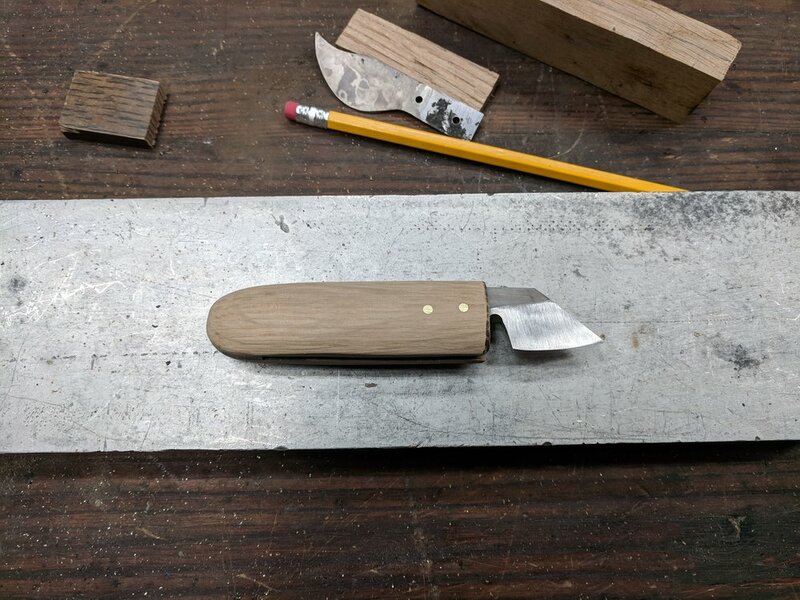 I believe in producing knives that will last generations. I believe in quality and craftsmanship. 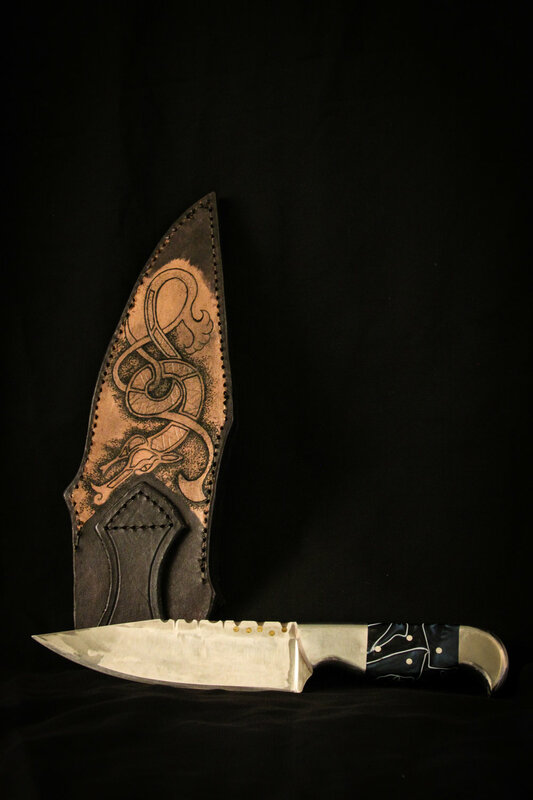 My knives are extremely functional and works of art. "Since 2012 my daily grind has literally been grinding metal. It’s awesome." About me. I’ve been a knife enthusiast pretty much my whole life. About 7 years ago I got tired of being disappointed by factory made knives not delivering on the hype. I started studying metallurgy and discovered so many discrepancies between what I was reading and what I thought I knew that I figured I needed to take a lesson from a pro. 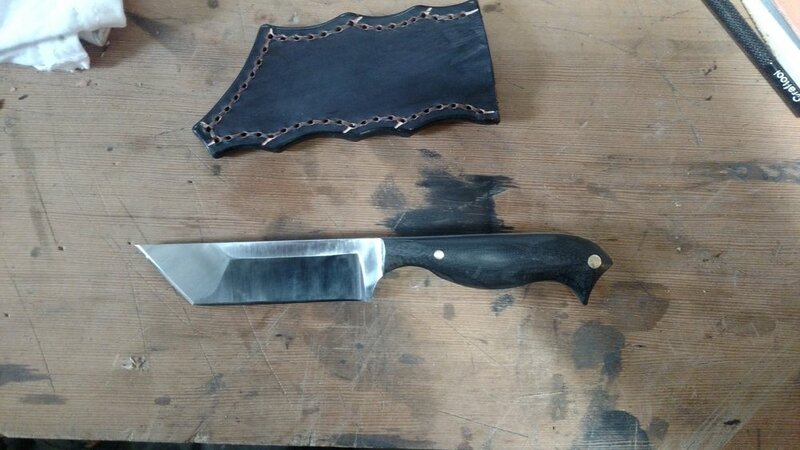 I signed up for a 2 day course on how to make a bar of Damascus (pattern welded, to be proper) steel, and how to forge a knife out of said bar. It was great. 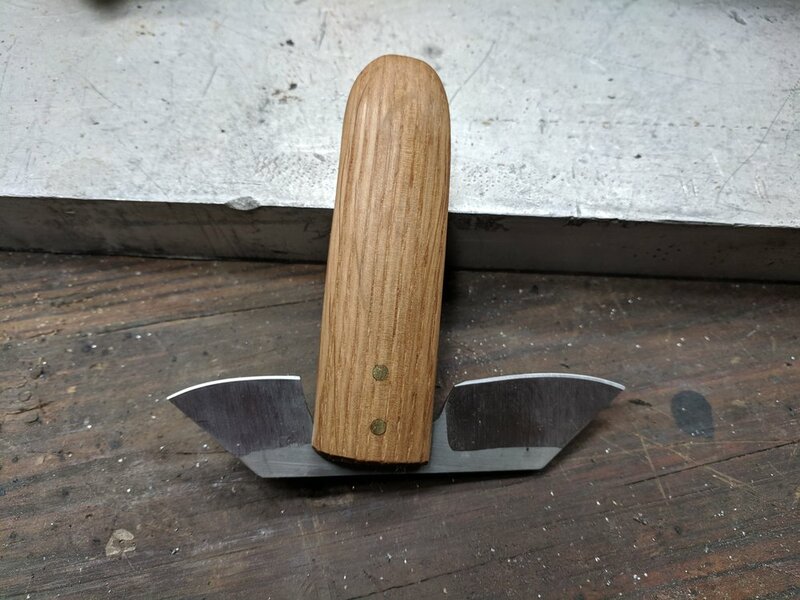 I made an amazingly functional, albeit not very pretty knife and developed the sickness for making knives. I kept studying and started saving up for tools. Turns out that one can’t forge any of the steels I use (more on that later) so I invested in a belt grinder, a kiln, and a drill press, for doing whats called stock removal. Since 2012 my daily grind has literally been grinding metal. It’s awesome. 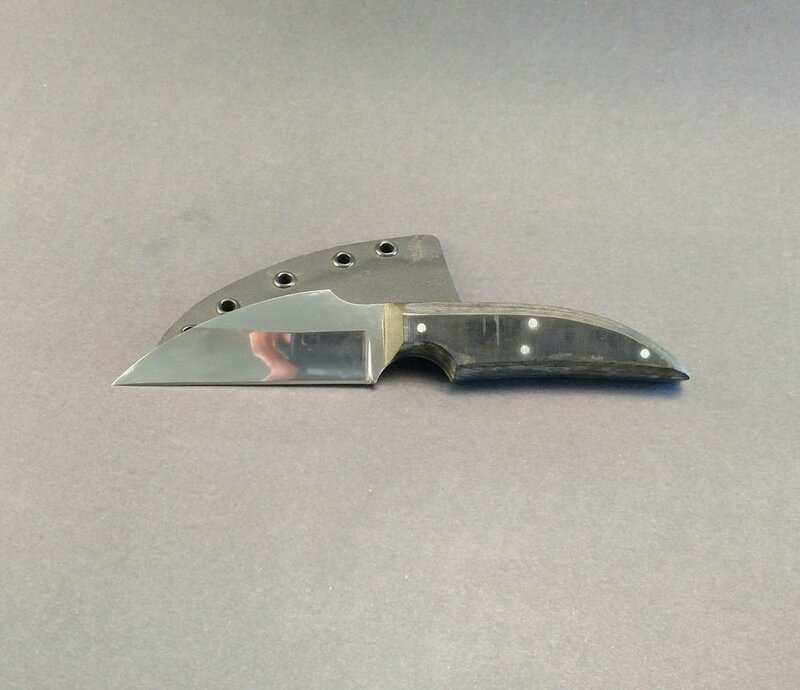 Blade steel. 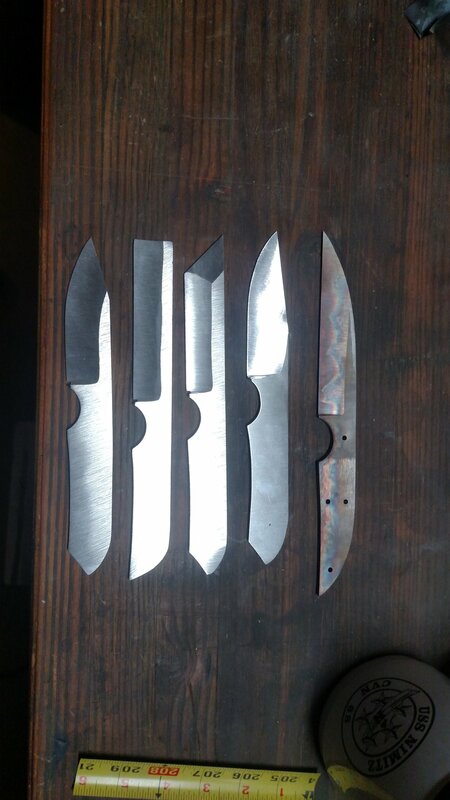 I use high carbon stainless tool steels such as 440C and CPMS35VN for my blades. 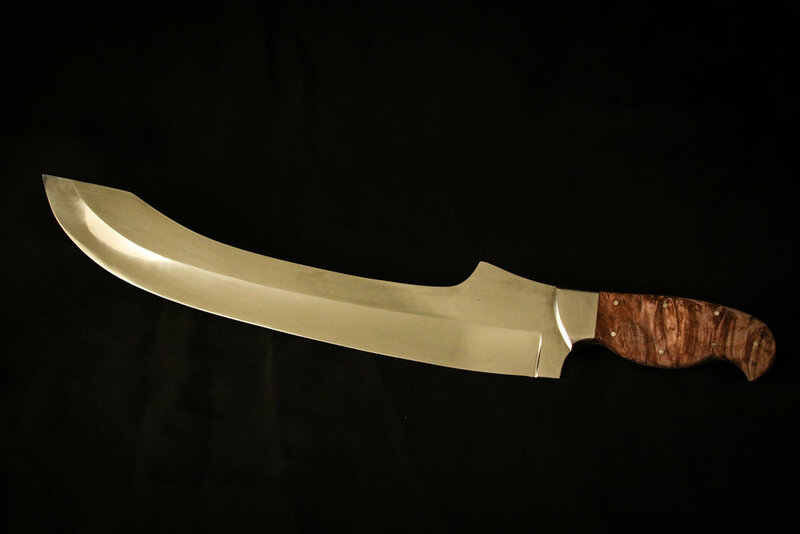 The purpose of the knife will, in large part, determine the steel type. 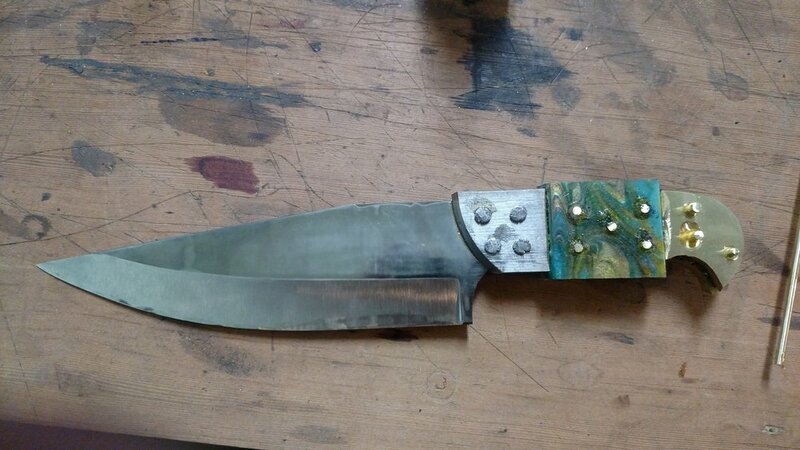 I use 44C for most of my knives because it’s hard, tough, and very corrosion resistant. There is no “one steel to rule them all” so I have to balance the hardness and toughness with precise heat treating processes to deliver a fine tool that, with very little TLC, will last generations. Maintenance. Wash it, dry it, put it away. 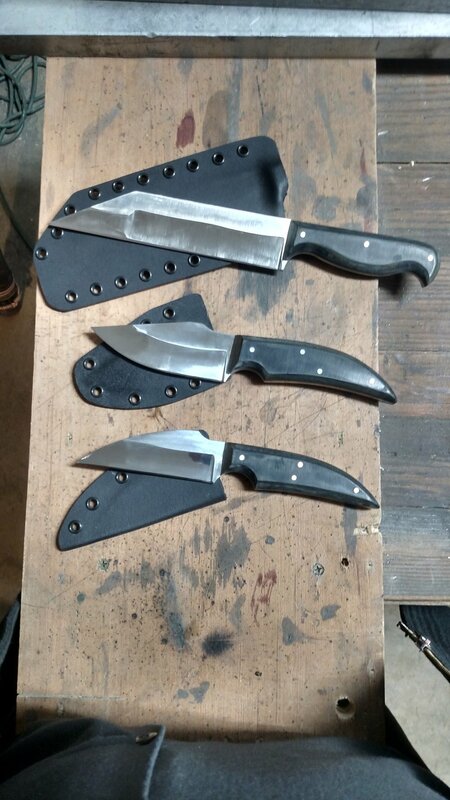 I don’t use plain carbon steel because of the amount of maintenance they require. They will rust in the time it takes you to prepare a meal, thus it’s considered good practice to wipe them between foods. 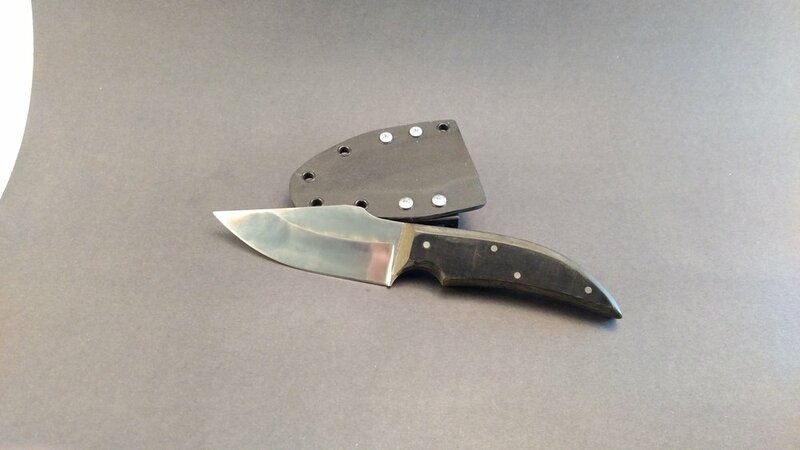 It’s the cutting edge that suffers the most when a knife oxidizes because it’s so thin. 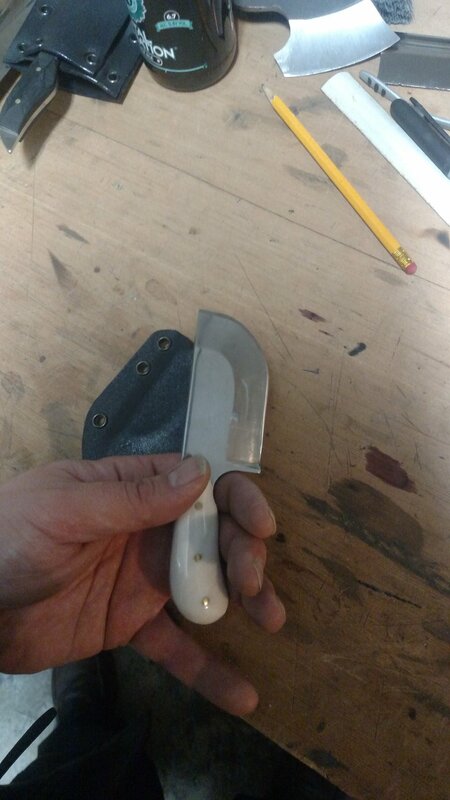 In contrast, I torture tested a CPMS35VN blade in my kitchen for 2 years, leaving it wet in the sink (not recommended), running it in the dishwasher (not recommended) leaving acidic foods on it for hours (not recommended) with no signs of corrosion, and I did not have to sharpen it.